A map from the Perry-Castañeda Library Map Collection of the General Libraries, University of Texas at Austin. I’ve highlighted the approximate course of the railways I know about. Don’t plan your trainspotting holiday based on it, though! 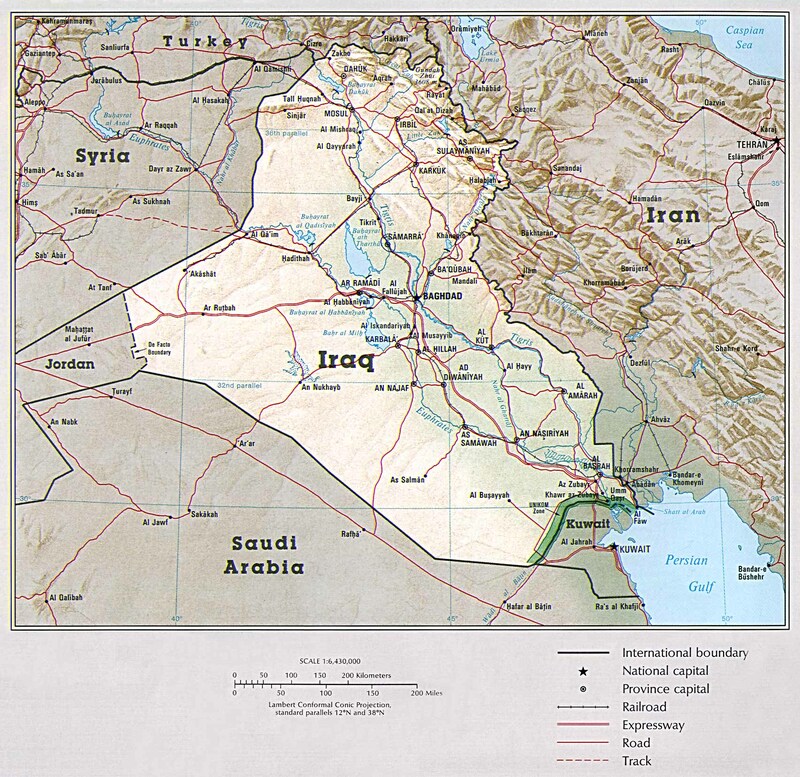 The detailed map of the Iraqi railway network (PDF, 713KB) from the United Nations Joint Logistsics Centre (used with permission). 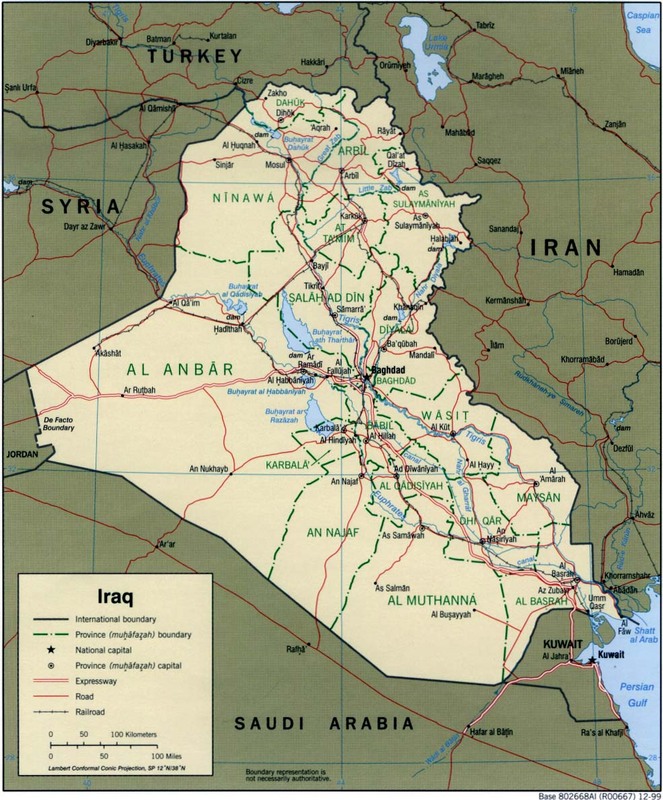 Some more maps of Iraq. The main rail network is also visualized but stays on purpose a bit in the background. Hopefully we can add more data about more detailed rail network, airports and harbors to this section soon . These are the lines which still (more or less) exist. There was formerly an extensive metre gauge network, which seems to have lasted until circa 1988(?) The standard gauge lines are not always on the same alignment as earlier metre-gauge routes. Obviously transliterations of Arabic place names vary between sources, so the names mentioned might not be consistent. 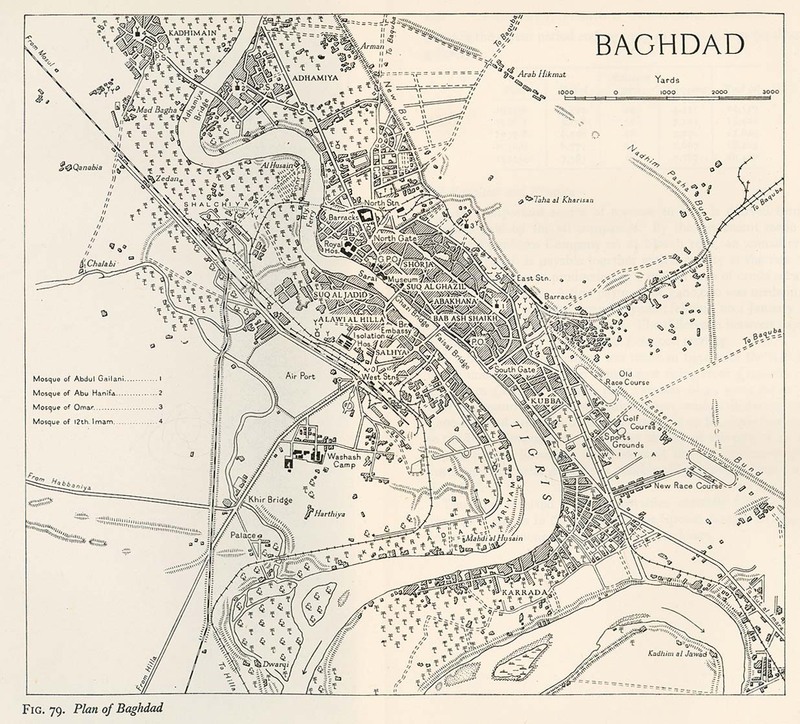 Ur – Nasiriyah? Possible branch? Kirkuk – Arbil [Irbil] ? Haditha, without changing the name of KBH, however. Further few km are east of Baiji – a siding to the Salahuddin Refinery tanker storage yard and a siding to the Baiji Vegetable Oil factory near to the Tigris river. The refinery was destroyed in the 1991 Gulf War by UN Troops. Whether or not is had been restored since, is beyond my knowledge. This is why you may have found in some sources 292 km rather than 252 km. inauguration of the KBH in the presence of the then Minister of Communication Mr Mohammed Hamza Al Zubaidi on November 7 1987 (not 1988). Baghdad-Baquba-Kirkuk railway line. This line was taken out of service in 1987, because by opening the KBH-line Kirkuk was reached faster by using the new connection via Baiji. Map of the port at Um Qasr, showing the railways, where UNJLC says rail transport is used on regular bases to transport containers to the northern part of the country and experts will do a more complete study of the rail capacities. A UNJLC photograph of warehouses and rail connection in Um Qasr. A photo of a train at Um Qasr from the UNJLC. Alan, I had been in Iraq from 1984 – 190 and remember some rides with the old Railway up to Baquba. Was a wonderful experience. Maybe we met one at Block 34? I think I’ve contacted you before about the international link that was under construction between the Al Qu’im International station and Syrian Railways Euphrates Valley branch (from Deir ez-Zur and Aleppo-(Turkey)) which appeared near completion on the latest Google Earth imagery (23/3/15) though no advance since the Syrian Uprising. The route would form part of a shorter rail route from Europe to Iraq. Certainly the exchange yard earthworks with no track yet laid are shown just 3.5 km west from the Iraq Railways headshunt at Al Qu’im International station-not to be confused with the Al Qu’im Junction station 22km to the south east near the abandoned loco depot. Clearly the Syrians thought this a main line as much of the formation is double track even though only a single track has been built. The Euphrates bridge is clearly an impressive 5-span structure 30 km north of Al Qu’im International, though only completed as single track.